Can’t afford a Boom Furler? 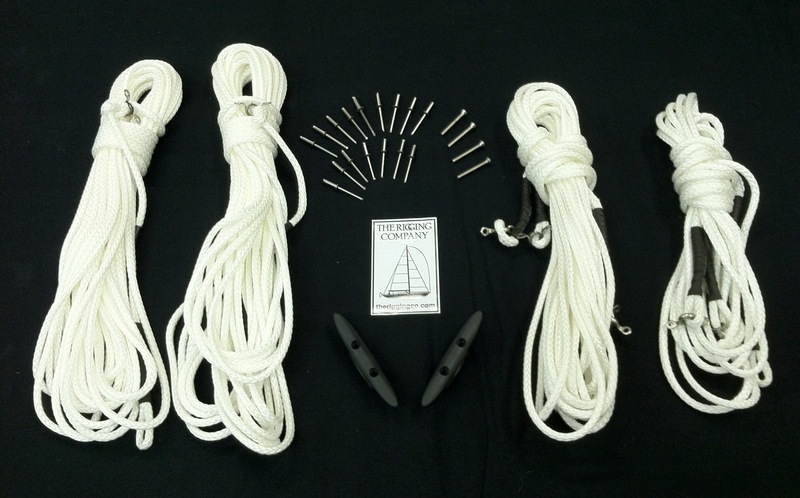 Looking for an easier way to hoist, douse, and stow your main or mizzen sails? Well there are two products that you may want to look at. They are called a Tides Marine Strong Track and our very own T.R.C. Lazy Jacks (pictured left). chafe the sail, it is designed to be stowed forward so that it is not in the way while sailing, and the mainsail cover can be put on without a canvas maker’s customization. The best part is they are priced at a much lower price point than any of the major brand competitors, around $299 – $499 depending on the size of the system, not installed. So before you think about buying one of those other kits, do yourself a favor and stop by our shop and ask one our experienced staff if you could take a closer look at one of our kits before taking the big plunge! All of this sail catching/ cradling technology makes little sense if your mainsail doesn’t fall freely and you have to fight just to pull the ‘thing’ down! Tides Marine provides a solution for this with their (again simple, but highly efficient. Our mantra.) Strong Track System. 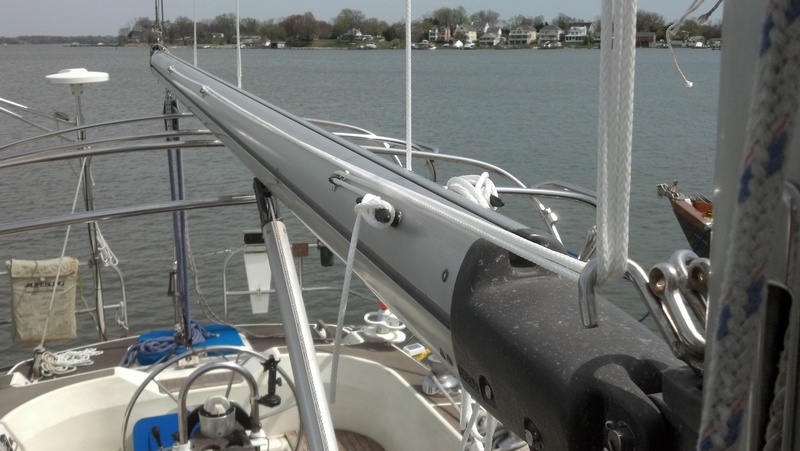 This system is comprised of a hard black plastic track and polished stainless steel sail slides. 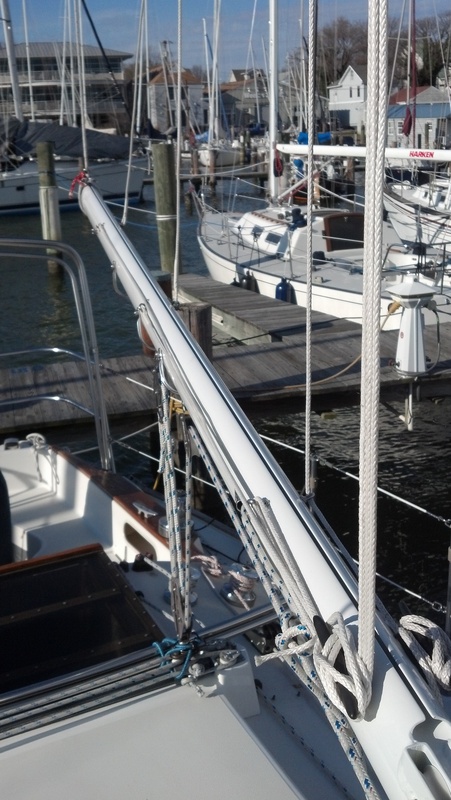 This is one of the most popular mainsail track systems in use today. I am sure that you have seen one of these on the aft edge of someone’s mast before, just take a look around. Tides Marine Strong Tracks have been around for a long time and therefore guarantee easy replacement parts. 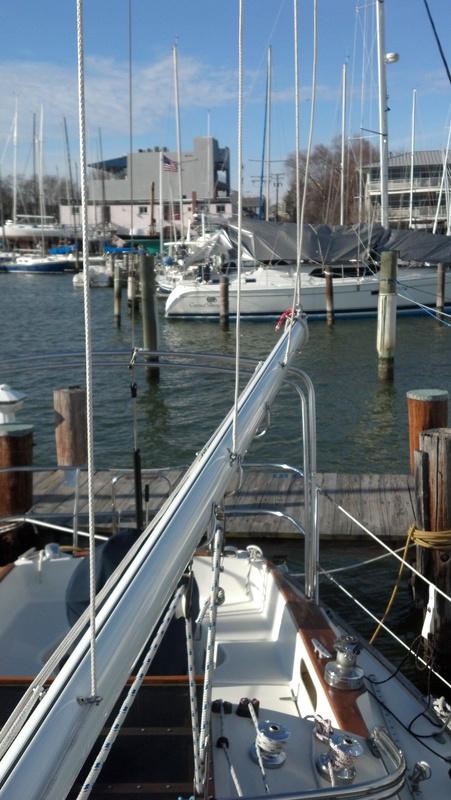 Additionally, you’ll find they are relatively easy to install even with the mast up! The system is fairly priced at $28.25/ft (ask about our special online discounts). 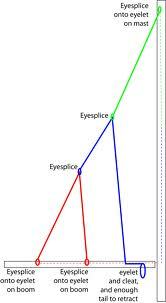 Most mainsails can easily be converted to the new slides, just ask your sailmaker for cost specific details. In conclusion, the beauty of these systems, as well as any of the systems that we recommend, are their simplistic attributes thus eliminating the need for any over-complicated/expensive servicing or maintenance. Other systems can be way more complicated to install, can be quite pricey to purchase, and you can count on them requiring some sort of maintenance. Having said that although these items are relatively easy to install; I would still recommend seeking the help of a professional rigger as there are rivets to ‘pop’, holes to drill and tap, and perhaps even cutouts that need to be made. ~Have a question? Leave us a comment, we’d love to hear from you. Thanks for the read and we’ll talk to you next time…..